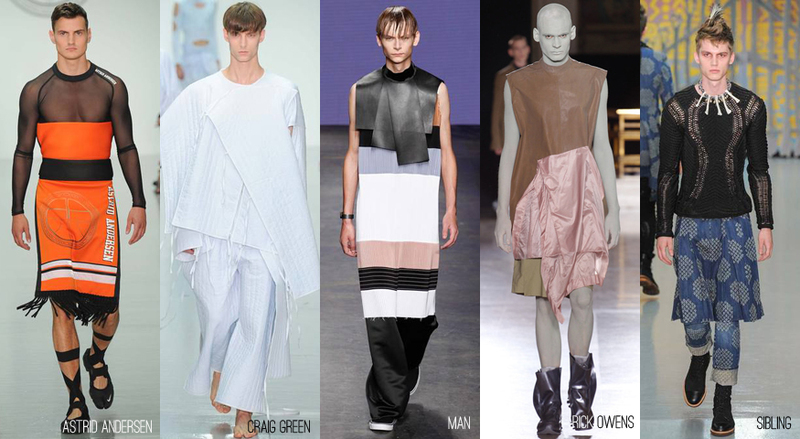 Feminine styling has been slowly making its way on the menswear runway as I observed here for Spring 2015. It’s seen with ruffles, cutouts, tunics (dresses), skirts, skin, and drape. 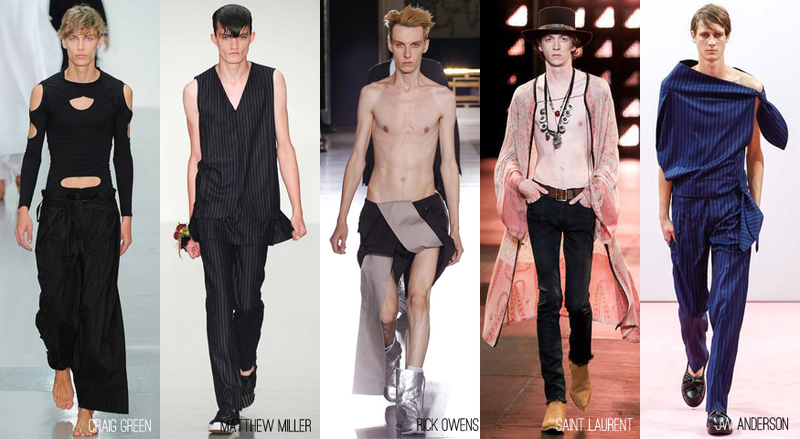 As gender becomes more of something we identify with rather than we’re assigned to, I see this trend continuing.